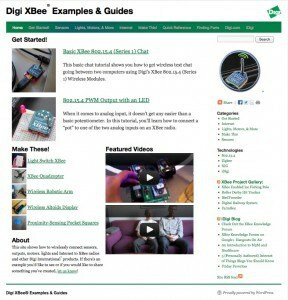 Our brand new XBee Examples project site just went live! Check out the first tutorials that Matt Richardson and I’ve published on Digi’s instructional library site: examples.digi.com. Keep informed about new tutorials by following the RSS feed. Hi Rob. Great site and thank you for sharing the knowledge. I hope it’s fine to query you about a specific problem I have. I have built a Follow Focus unit base on an UNO (you can check it out here:http://adisoffer.tumblr.com/post/25422476290/you-read-the-post-now-watch-the-movie-arduino-follow) ans I’m trying to go wireless using 2 S1 Xbees. After failing to use X-CTU with them (usual error messages)I finally decided to check if they can (as advertised) communicate out of the box. Well, it seems like they do, but the specific values that I send aren’t getting through. 1st arduino sends pot data, 2nd arduino recognizes there is data coming in – BUT the numbers are wrong. I have the codes posted here (http://adisoffer.tumblr.com/post/27250949448/sure-enough) and would appreciate a few pointers. Thank you very much! Looks like your code was sending ASCII instead of BYTEs. 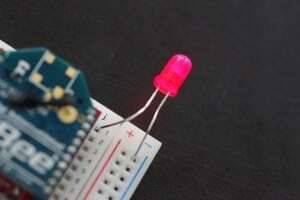 In Arduino 1.0, use Serial.write(). Previous versions you could use Serial.print(value,BYTE) but that’s no longer available. Hope you get this. Trying your button/led example here but having problems. The led on the second XBee comes on as I push the button on the first radio BUT then stays on for about 20 seconds before it switches off. So there is no delay in sending the signal or packet from the first radio, but there is a delay on the second radio reading the port and switching it off. I’m using XBee series 1 but also a 10 k pot. Is it perhaps an impedance problem because of the 10 k pot ? 1 Pings/Trackbacks for "New XBee Examples Site"